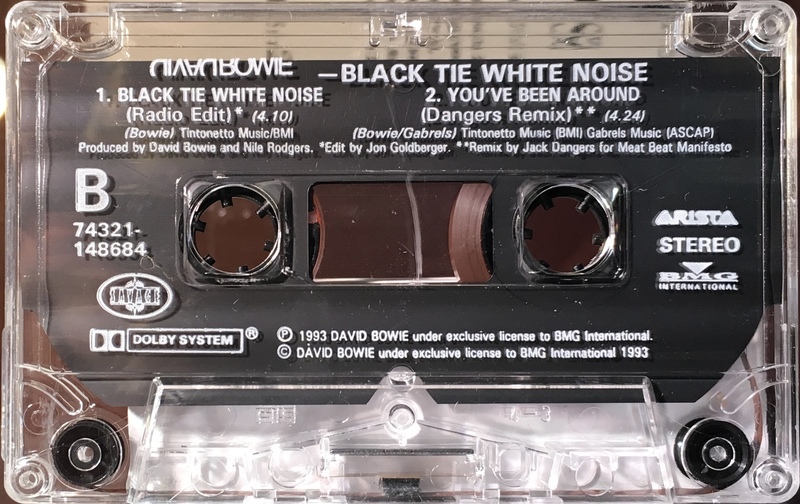 Black Tie White Noise: UK; BMG/ Arista, 74321 148684; 1993. 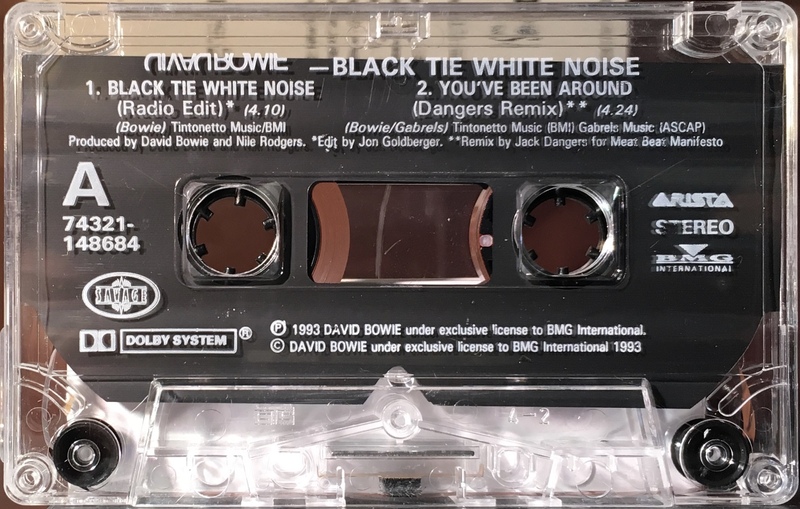 Cover is made from folded, treated thick paper; picture cover, spine and inner, black rear panel with track list on it and perforated white panel which doubles as a postcard for ‘David Bowie Information Services. White ink printed directly onto transparent shell with shaped slip sheet. ‘Arista’, ‘BMG’ and ‘Savage’ logos on shell. Side 1: Black Tie White Noise (Radio edit) 4:10; You’ve Been Around (Dangers remix) 4:24. Side 2: Black Tie White Noise (Radio edit) 4:10; You’ve Been Around (Dangers remix) 4:24.